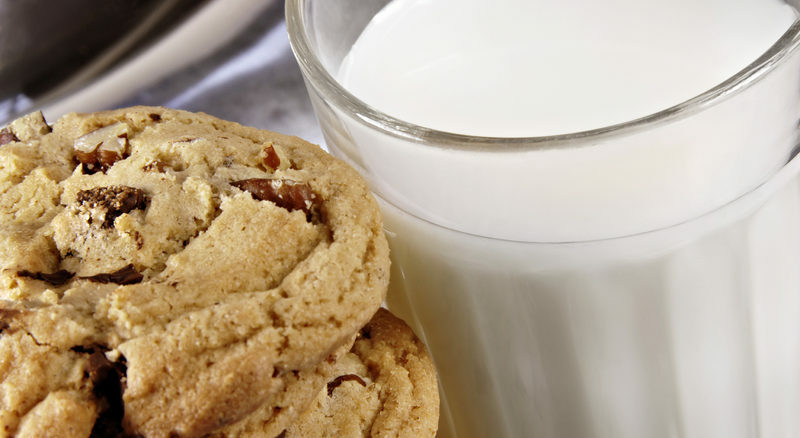 There are few things in this life better than warm chocolate chip cookies washed down with a glass of cold milk (preferably Donegal Creameries milk). Cookies are so easy to make and they go down a treat with everyone. Here’s a recipe for cookies that’ll tickle your taste buds. • Preheat the oven to 190°C. Line 2 flat trays with grease-proof paper. • Beat the sugars, salt, vanilla extract and butter in a large bowl with wooden spoon until smooth. Add the egg and beat again. • Sieve in the flour and fold in until a dough begins to form. • Add in the chocolate chips and mix again. • Spoon the dough onto the trays. • Bake for 10-12mins. Allow to set in a tray then transfer to a wire rack to cool. • Serve moderately warm with a glass of cold milk.